WestJet is increasing service and launching new routes from Montréal’s Pierre Elliott Trudeau International Airport and Québec City’s Jean Lesage International Airport. Overall, the airline is adding 105 more flights per week from Québec province, a capacity increase of 74 per cent. On March 15, WestJet will launch twice-daily service between Montréal and Halifax, Nova Scotia. 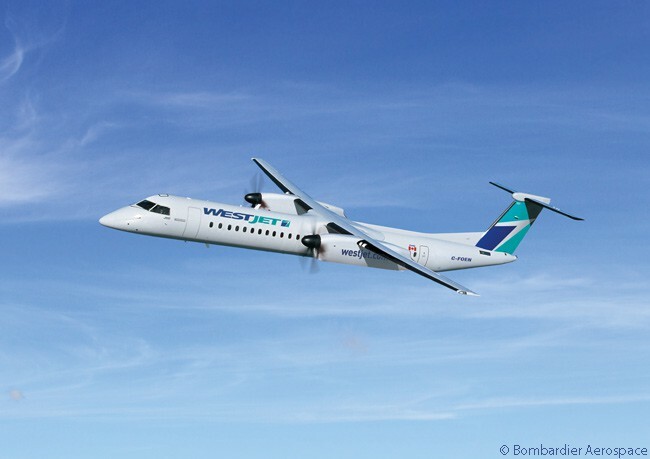 Then, on June 15, WestJet will begin point-to-point service for the first time within Québec province, operating four daily round-trips between Montreal and Québec City. On October 15, WestJet will begin twice-daily service between Montréal and Boston. 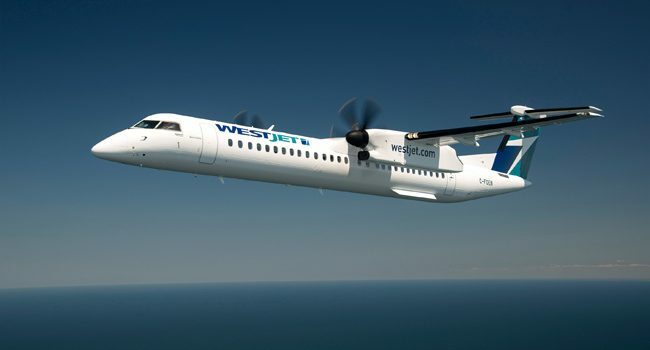 All three new routes will be operated by WestJet’s regional airline, WestJet Encore, with its fleet of Bombardier Q400s turboprop regional airliners. 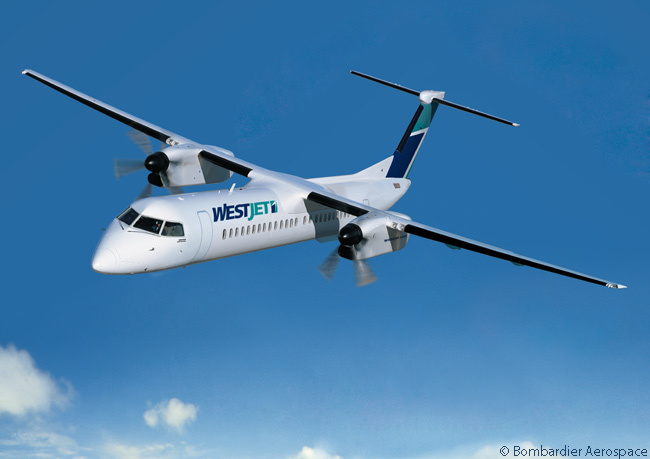 WestJet Encore flies the fourth-largest fleet of Q400s in the world. By mid-2018, the all-Q400 regional airline will have a total of 45 of the type. Calgary-based WestJet will also increase the number of non-stop flights it operates between Montréal and Vancouver, from six per week to 12. The carrier will also increase its service frequency between Montréal and Calgary from 14 round-trips a week to 19. WestJet also will boost its Québec City-Toronto service by adding one more daily round-trip, for a total of three. With the addition of all these new services, WestJetwill operate 195 weekly departures from Montréal and 50 departures from Québec City by October. “With these three destinations, WestJet will now offer an average of eight additional flights per day and 33 per cent more seats departing from Montreal, which is excellent news for our passengers,” says Phillipe Rainville, CEO of Aéroports de Montréal, which operates Pierre Elliott Trudeau International Airport. 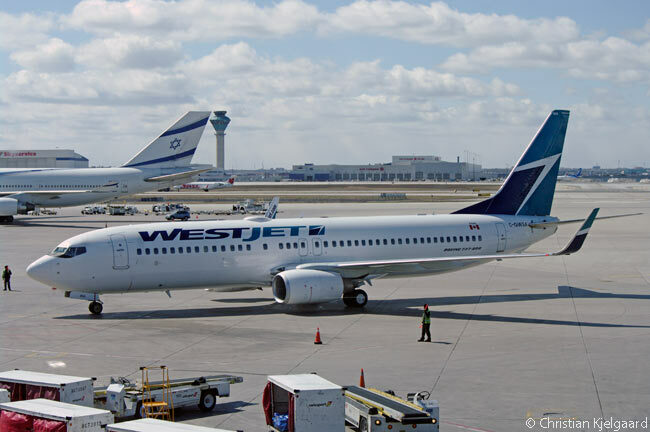 WestJet operates its routes linking Montréal with Vancouver and Calgary with Boeing 737NGs, whose cabins offer its extra-legroom-seating Plus product and WestJet Connect, the airline’s Wi-Fi connected in-flight entertainment system. The airline’s four-times daily Montréal-Québec City service will see the day’s first flight departing Montréal’s Pierre Elliott Trudeau International Airport (IATA code YUL) at 7:45 a.m. from June 15 and reaching Québec City Jean Lesage International Airport (YQB) at 8:40 a.m.
WestJet Encore’s second flight of the day will leave YUL at noon and arrive at YQB at 12:55 p.m. The third flight will push back from the gate at YUL at 4:00 p.m. and land at YQB at 4:55 p.m. and the last flight of the day will vacate its gate at YUL at 8:00 p.m. and touch down at YQB at 8:55 p.m. In the other direction, WestJet Encore’s first flight of the day will depart YQB at 6:15 a.m. from June 15 and reach YUL at 7:07 a.m. The second flight will push back from its gate at YQB at 9:30 a.m. and arrive at YUL at 10:22 a.m. The third flight will vacate its gate at YQB at 2:00 p.m. and land at YUL at 2:52 p.m., while the fourth flight will leave YQB at 5:30 p.m. and get to YUL at 6:22 p.m.
WestJet Encore’s twice-daily Montréal-Halifax schedule calls for its first flight to depart YUL at 9:15 a.m. from March 15 and arrive at Halifax Stanfield International Airport (YHZ) at 11:57 a.m. local time. Its second flight will leave YUL at 6:20 p.m. and touch down at YHZ at 9:00 p.m. local time. In the other direction, WestJet Encore’s first daily flight will vacate its gate at YHZ at 7:45 a.m. from March 15 and reach YUL at 8:43 a.m. local time. Its second will push back from its YHZ gate at 4:50 p.m. and get to YUL at 5:48 p.m. local time. WestJet Encore’s schedule for its twice-daily Montréal-Boston flight calls for its first flight to leave YUL at 7:15 a.m. from October 15 and to land at Boston Logan International Airport (BOS) at 8:45 a.m. The second flight will depart YUL at 4:00 p.m. and touch down at BOS at 5:30 p.m. In the other direction, WestJet Encore’s first flight will depart BOS at 9:25 a.m. from October 15 and arrive at YUL at 10:57 a.m. Its second flight will leave BOS at 6:15 p.m. and get to YUL at 7:47 p.m.